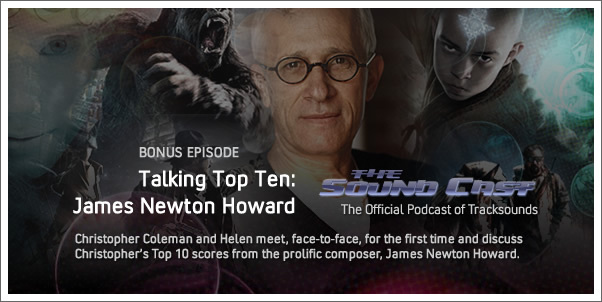 Christopher Coleman and Helen meet, face-to-face, for the first time and discuss Christopher's Top 10 scores from the prolific composer, James Newton Howard. 04:12 Top 10, 9, 8, 7 and Helen Hatin' on M. Night. 1. RESTORATION. One of my fav JNHs. I used to listen to this cue (Fire) ALL the time. This rivals Flow Like Water. 2. PRINCE OF TIDES. Sweeping romantic. I forget how versatile he is.